"The third installment in Bell Tower's attractively packaged Sacred Teachings series, The Yoga Sutras of Patanjali offers a modern translation of a 2,300-year-old Indian meditation text. Translator Alistair Shearer gives a somewhat ethereal introduction ("Yoga is the transformation into the Divine, and of the Divine into everything") that is too long-winded at 80-odd pages. 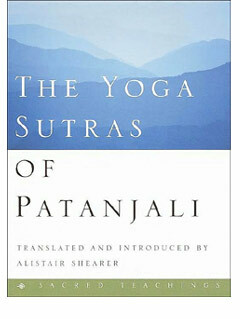 Still, the sutras are beautifully rendered." "Shearer's luminous rendering sings with timeless beauty and force."